Rav Melamed: Today we will dedicate a new neighborhood in Beit El, inside the base, a plot that is 2.5 or 3 times larger than this one. 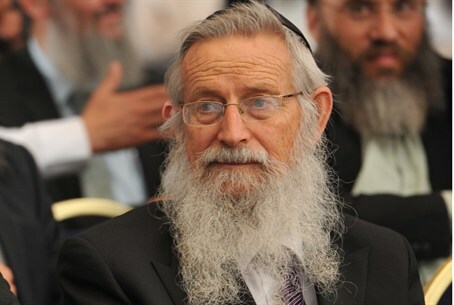 The Rabbi of Beit El, Rav Zalman Melamed, announced Tuesday morning that a new neighborhood would be dedicated later in the day. The rabbi addressed a short sermon to believers at the site of the Ulpana Neighborhood, where five apartment homes are to be dismantled upon orders from the High Court. The new neighborhood – to which some of the families now living in the Ulpana Neighborhood will move – will be larger than the current Ulpana Neighborhood. "Two months ago," he said, "if someone had said that part of the base would be handed over for enlarging the community, it would have seemed like a dream, a figment of the imagination." "And today, with G-d's help, we will inaugurate a new neighborhood in Beit El, inside the base, a plot that is 2.5 or 3 times larger than this one. " This does not lessen the sorrow and suffering caused by the High Court decision, the rabbi noted, but he added: "We pray that it not only will be cancelled but turned around and that here, with G-d's help, will be a large neighborhood, we will return to these homes, and build additional ones, and the Land of Israel will be built up soon and in our times."